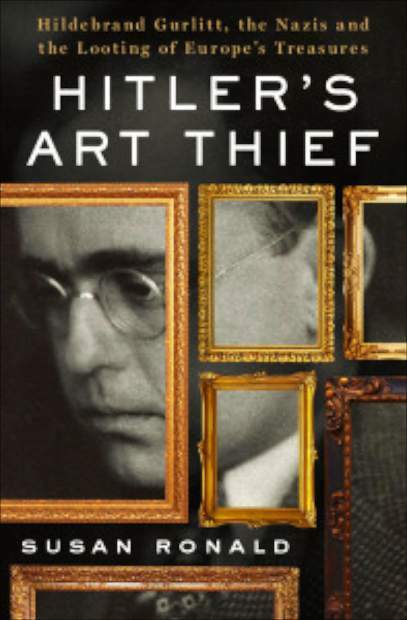 âHitlerâs Art Thief: Hildebrand Gurlitt, the Nazis and the Looting of Europeâs Treasure," by Susan Ronald. Adolf Hitler is most remembered for the countless lives he stole during the Holocaust, when he led a brutal and relentless assault against Europe’s population as part of his plan for a New World Order of Aryan dominance. Another, lesser-known side of the story of World War II is the fate of thousands of pieces of priceless and irreplaceable art the Nazis plundered from their victims, as well as from museums and galleries all across Europe, including some of the most famous museums in Vienna and Paris. The 2014 movie “The Monuments Men” dealt with the subject, but the recent book “Hitler’s Art Thief: Hildebrand Gurlitt, the Nazis and the Looting of Europe’s Treasure,” by author and historian Susan Ronald, digs more deeply into the role of one man who stole millions from many. Being the recipient of several inherited Hungarian art pieces, which she volunteered to turn over to the “Art Loss Register,” Ronald unwittingly immersed herself in the story of the very complex and sordid history of stolen art from World War II. 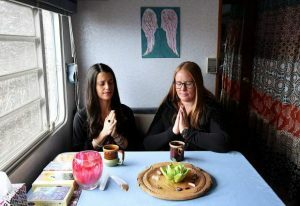 What finally connected some of the dots for her, though, and inspired her to write the book, was a news story from 2012 that revealed a trove of priceless works of art in an elderly man’s apartment in Munich. The gentleman turned out to be the son of Hildebrand Gurlitt, who had been one of Hitler’s “four riders of the apocalypse,” who actively acquired thousands of works of art that helped finance the Nazi war machine, or which helped bolster the private collections of greedy and cold-hearted members of the Third Reich’s ruling elite. Aside from the very personal link the art had to the victims of the Holocaust, in many cases the artwork could have been a means to finance an escape from the besieged areas of Europe. That stolen art, instead, helped Hitler pay for his costly plans for Germany and for the ever-ravenous war machine. According to Ronald, the money that came from the “internationally exploitable artwork” was only a small part of the Fuhrer’s plans for the looted treasure. A failed artist himself, Hitler was a spiteful and narcissistic individual who was determined to build a nation based upon his own cultural aesthetics, and Ronald highlights his fascinating rise to power alongside Gurlitt’s own parallel trajectory until the lives of the two art lovers intersected. Part of Hitler’s grand scheme was to identify and eliminate what he deemed “degenerate” art, which consisted mostly of modern expressionist and surrealist works. For Hitler, the Aryan ideal carried over into artistic expression with the folk movement, which “idealized the German peasant and rejected all modern styles from the Impressionists forward into the 20th century.” Any “racially alien elements” were to be destroyed. As is often the case for individuals who seek power, the rules that are made for others are not maintained personally. Much of the art deemed unsuitable for others to own and view was simply claimed for their own collections by some of Hitler’s most ardent supporters, people like Herman Goring and Joseph Goebbels, in many cases unbeknownst to Hitler. And, as is central to the book, to Gurlitt, himself, who squirreled away thousands of pieces, including some unknown items that rest in an inaccessible Swiss bank vault. The story Ronald reveals is so engrossing, one forgets that is it an account of real events. Making it even more engaging is the fact that, though the art was stolen more than 70 years ago, the fate of some of the lost paintings is still being discovered.